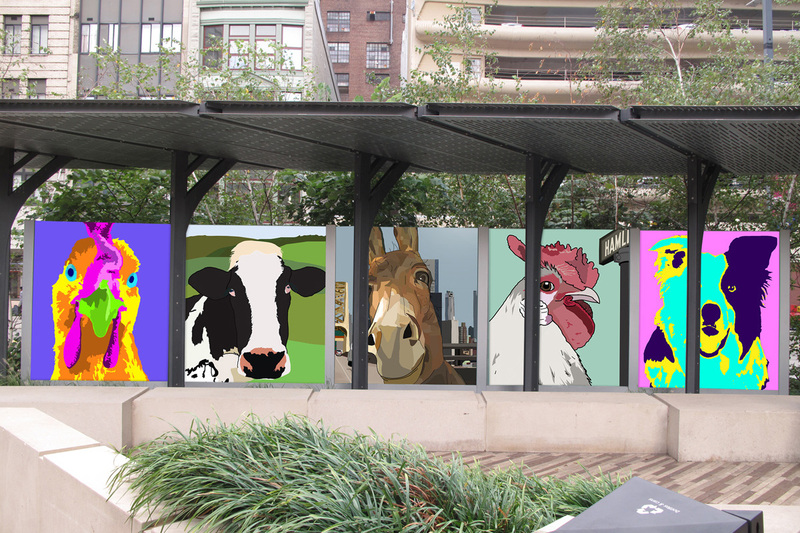 The Magenta Foundation is pleased to bring its fourth public outdoor art exhibition to Triangle Park. 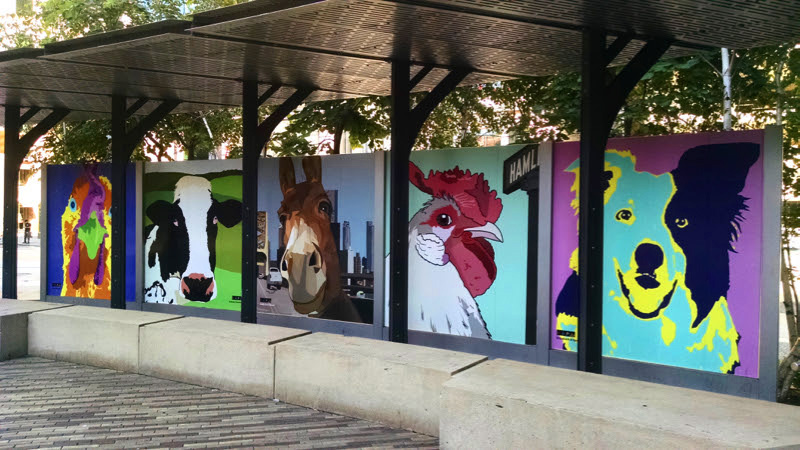 Here, the burgeoning talent of the latest art stars from Pittsburgh CAPA present their unique one-off pop art farm animal portraits. Thank you to our sponsors for helping to produce this dynamic Magenta POP exhibition and for supporting to our artists. The goal of this installation is to celebrate high school students and give them a platform for their creativity in a larger public venue, while inspiring all of us to celebrate artists at all stages of life. The exhibition is now over. Thanks for joining us and supporting our artists. The Magenta Foundation consistently strives to discover new and exciting ways to move art from inside traditional exhibition spaces toward less formal, and more accessible, outdoor public spaces through unexpected pop-up art installations. We believe that public art needs to be in more outdoor spaces, reaching more people and uniting artists and arts communities everywhere. We’re always excited to work with cities and neighbourhoods to help improve public spaces. Stay tuned for much more to come and many new cities to host public art.